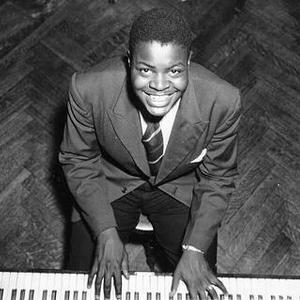 Oscar Peterson (1925-2007) was a Canadian jazz pianist and composer. Born in Montreal, Canada, Peterson began learning trumpet and piano from his father at the age of five, but by the age of seven, after a bout of tuberculosis, he concentrated on the piano. Some of the artists who influenced Peterson during the early years were Teddy Wilson, Nat "King" Cole, James P. Johnson, and the legendary Art Tatum, to whom many have tried to compare Peterson in later years. Born in Montreal, Canada, Peterson began learning trumpet and piano from his father at the age of five, but by the age of seven, after a bout of tuberculosis, he concentrated on the piano. Some of the artists who influenced Peterson during the early years were Teddy Wilson, Nat "King" Cole, James P. Johnson, and the legendary Art Tatum, to whom many have tried to compare Peterson in later years. In fact, one of his first exposures to the musical talents of Art Tatum came early in his teen years when his father played an Art Tatum record to him and Peterson was so intimidated by what he heard that he didn't touch the piano for over a week. He soon developed a reputation as a technically brilliant and melodically inventive jazz pianist, and became a regular on Canadian radio. His United States introduction was at Carnegie Hall, New York City in 1949 by Norman Granz; owing to union restrictions his appearance could not be billed. Some of his musical associates have included Lester Young, Ray Brown, Ben Webster, Herb Ellis, Ed Thigpen, Niels-Henning ?rsted Pedersen, Louis Armstrong, St?phane Grappelli, Ella Fitzgerald, Clark Terry, Joe Pass, Count Basie, and Stan Getz. An important step in his career was joining impresario Norman Granz's labels (especially Verve records) and Granz's Jazz at the Philharmonic package, with which he was able to play with the major jazz artists of the time. Granz was also his manager for most of Peterson's career. Some cognoscenti assert that Peterson's best recordings were made for the MPS label in the late 'sixties and early 'seventies. For some years subsequently he recorded for Granz's Pablo Records after the label was founded in 1973 and in more recent years for the Telarc label. In 1993, Peterson suffered a serious stroke that weakened his left side and sidelined him for two years. However he overcame this setback and went back to touring, recording, and composing on a limited basis. In 1997 he received a Grammy for Lifetime Achievement and an International Jazz Hall of Fame Award. He died on December 24th, 2007 of kidney failure.